Get ready for a fun-filled, video packed guide that will not only tell you how to get more YouTube subscribers naturally, but show you how to do it with actual video examples as well! 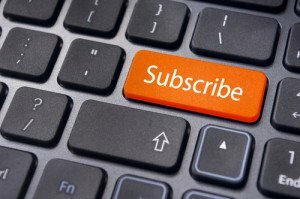 Six ways to get more YouTube subscribers naturally! In the marketing world, a ‘call to action’ is a fancy sounding phrase that is actually quite simple. You tell your viewers what you want them to do, and when you want them to do it. When you’re trying to get more YouTube subscribers, this can be both an auditory and visual cue for your viewers. A very clear call to action to subscribe helps them grow with every video! It can be a link which directs people to other videos. This is useful in the video, but even better at the end. It will help keep people on your channel, rather than waiting for the recommended videos that appear after yours is done. The longer they are on your channel, the better chance there is that they’ll subscribe. You can make it a link to your YouTube homepage. This works great for videos that are going viral. Catch it early, and you’ll be sending them to your homepage where your subscribe button is, and where all your videos are to keep them around. Include links to your social profiles. This last way to get more subscribers is about finding another way to capture them in the long term. Once they like you on Facebook, or follow you on Twitter, it’s like they have subscribed to you in a way as they’ll still be seeing your content. This is essential as not everyone has a YouTube account that they use to subscribe. The web experience of the average person using YouTube is all about the next click, the next piece of entertainment, the next video. Using your annotations wisely will keep people watching your videos, and prompt them to subscribe. They get right at it with social and subscribe links at the very beginning of the video. Even the guest hosts get in on the annotations at the 1 minute mark with Twitter links. At 1:30 they ask for likes comments, and shares. The end of the video uses pop up techniques from above, but they have mad programming skills so that it’s part of the video rather than a popup. The average YouTuber would have popups at the end in this example. Yes, we all know that the YouTube comments section can be a nightmare. With a little guidance you can use it for good, rather than spam/troll bait. You will have fans that actually want to talk to you, and getting them talking is great for social proof after using one of the YouTube subscribers services talked about on this website. Being consistent: This relates to having your videos up regularly so your viewers know when to show up. It also relates to having a regular topic that you bring up to be discussed in the comments for each video. This helps guide the conversation and works to reduce spam and trolls. Commenting on other YouTube channels: Honestly now, you’re already watching other YouTube videos. Adding useful comments and feedback can go a long way to show that you’re for real. Every comment is also another link back to your channel. A recent update has even made it so your comment has a pop up box that shows your channel and lets people subscribe – all from another video. Rewarding your current subscribers: Nothing says “I appreciation you” like a reward! Your current fans are the ones sharing your videos on social media and bringing more people to your channel. Giving your subscribers a reward once you reach a certain subscriber level, like 10% off at your store, or a special blooper reel, will give you a community that cares. Every video has a question at the end about the most controversial news piece discussed. His fans respond every week with actual thoughtful responses…and some trolling. For some reason, the all-time favorite videos on most channels feature YouTubers from different channels working together. Maybe they save their best ideas up for these epic moments, or maybe there’s a little extra creativity in them with the fresh voices in the room. Each time they do this they’re opening up the audiences on both of their different channels to each other. There are many times when someone will have never heard of you, see you in a collaboration video, and subscribe to your right away. That, of course, depends on how good you are! If you can’t get anyone to collaborate with you, and it will be tough at first, you can try mentioning other YouTubers in your videos. Make them aware of it on social media or in their comments, and you may get them to make a video where they mention you. It all depends on the YouTube user, your comments about them, and how you get them to respond. Pretty much every YouTube user is going to have a website and some sort of blog. If you don’t….it may be time to get to work on that! You may not need them right now, but down the road a well put together website or blog is where you can start selling your merchandise from. Install one of YouTube’s subscription widgets in the sidebar of your website or blog. It will sit there on every page of your website, just waiting for people to click it and get you more YouTube subscribers even when they’re not on YouTube! Include a link to your YouTube channel in your blog articles, or at the bottom of every web page. Be sure to include a call to action like ‘Visit my YouTube Channel and SUBSCRIBE’ to put the idea into the heads of your visitors. In your video description area, include a link to your website that you know for certain has a subscriber button on it. Tweak that landing page to feature it prominently. If you didn’t get them to subscribe on YouTube, be sure to direct them to a page on your website that can. Leveraging your traffic in the world of wwwdot is just as important as on YouTube. Not everyone is going to be on YouTube looking for content, some are surfing websites looking for content similar to yours. Giving them a website to find, and then have it direct them to YouTube or get a subscription right here, is a sure way to get the subscribers you need to keep your channel thriving. For your last example, check out Jenna Marbles’ website/blog. In the upper right hand corner you’ll see her pink ‘Join Team Marbles’ subscribe button!